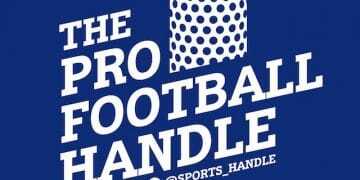 Sports Handle is pleased to present the debut episode of The NFL Handle. This NFL betting podcast pairs together Las Vegas-based sports talk voice Matt Perrault with veteran bookmaker Robert Walker, now of USBookmaking, formerly of Resorts World, MGM Mirage and “numerous other books that were glad to see me go,” he says on Twitter. Perrault is also host of Pushing The Odds on SB Nation Radio. 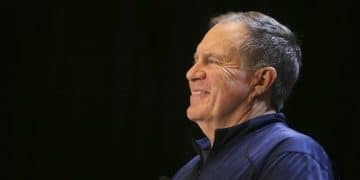 On The NFL Handle, Perrault and Walker will dive into select NFL games, line movements and bookmaker liabilities, plus greater sports betting topics and stories that may have nothing to do with football. Walker has seen it all behind the counter and Perrault the same from behind the microphone, so they’ll have you prepared for anything. Your comments are welcome at @sports_handle. (Link coming for iTunes listeners). Time codes for the episode follow below. 0:30: Introducing Walker and to a lesser extent, Perrault. 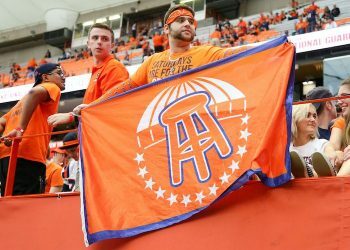 Thoughts on a new era of sports betting in the U.S., potential federal involvement, and a welcome to the NFL season. 19:50: The NFL slate, beginning with Falcons +1 at Eagles (line has now moved to ATL -1 in some shops). On Nick Foles and the challenge of repeating as champion. 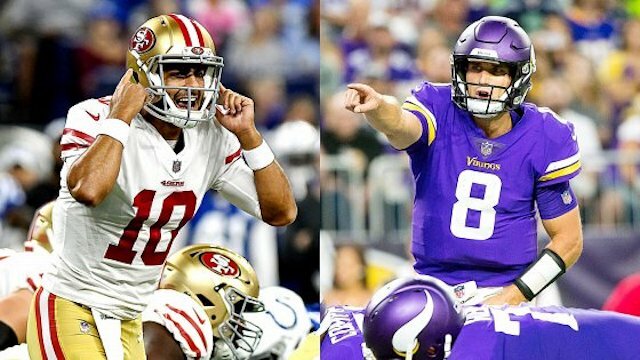 28:10: Jimmy G and the 49ers +6.5 at Vikings in Kirk Cousins’ debut in Minnesota. 32:57: Pittsburgh Steelers -4 at the Cleveland Browns of Hard Knocks. 40:30: New York Jets +6.5 at Detroit Lions (and a total that’s ticked down). 42:40: Los Angeles Rams -4 at Oakland Raiders. 49:10: Some final thoughts: Are certain games more attractive situationally? Not all home dogs are created equal. Have a profitable Week 1, folks. Thanks for listening and see you back next week, tell a friend, sign up for our newsletter and also check out the Cover City Podcast, featuring sports bettor Eric Rosenthal.